This is from an illustration I did for Illustration Friday's prompt: heirarchy. Of course I had to paint the King or Queen of the Universe, the all-knowing raven! The background was patterned scrapbooking paper and the crown was a silvery sticker and will be glittered before sending it to you. 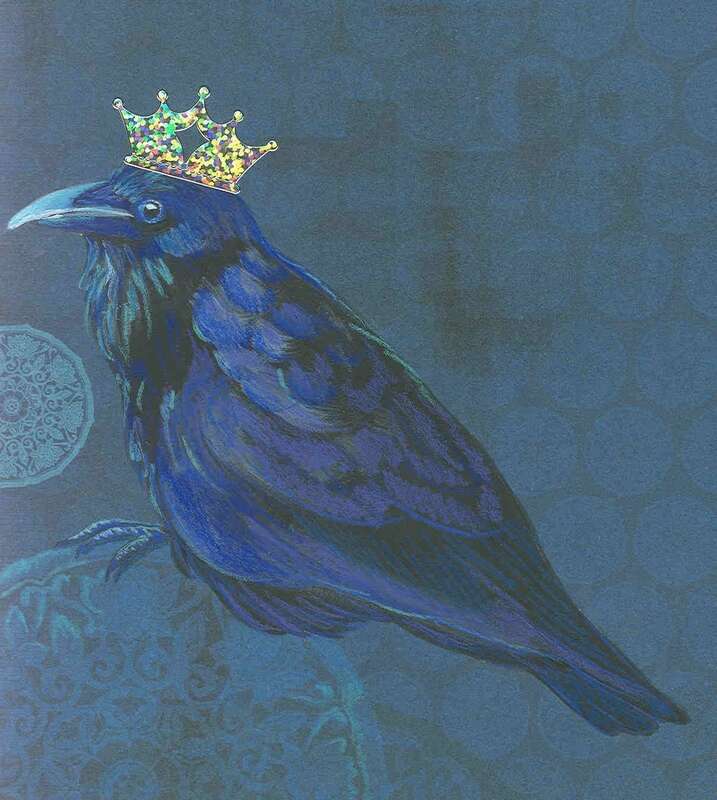 BEAUTIFUL card with exquisite crowned raven and lovely colors, as well. Exceeded my expectations. Very, very pleased with high-quality item and Etsy shoppe. Will definitely be browsing again :) Thank you!! Such an amazing card. The person I gave it to loves it and is going to frame it. This card is drop dead gorgeous with the glitter crown! Love it!